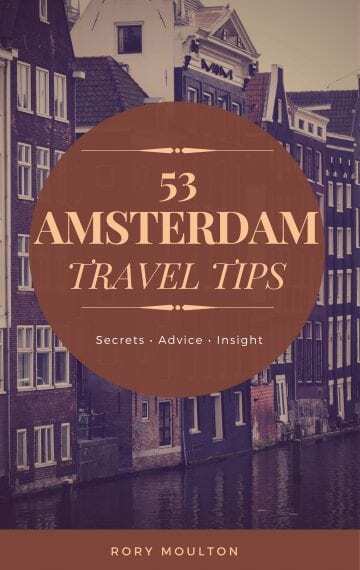 In 53 Amsterdam Travel Tips, I dispense my very best advice for traveling Amsterdam. Gleaned from over 15 years of travels to the great city of canals, my secrets and insight will help you plan and execute the perfect Amsterdam getaway. You’ll learn how to skip crowds, find the city’s best values, navigate the tram system and experience the city more like a savvy local than a bewildered tourist. Whether it’s your first time in Amsterdam or you’re back for more, this book will teach you something new. Save money, beat the crowds and learn about Amsterdam’s coolest “secret spots” with 53 Amsterdam Travel Tips. Few cities on Earth induce such passion, such wonderment as Amsterdam. Holland’s capital, long drawing artists, writers, bon vivants, world leaders, fashionistas and travelers, holds an unassailable position in the hearts and minds of all who have ever strolled her canals. View all my books on Amazon.